Performances – Blog by Esther Neela M.
Below are the details as I received via email…. 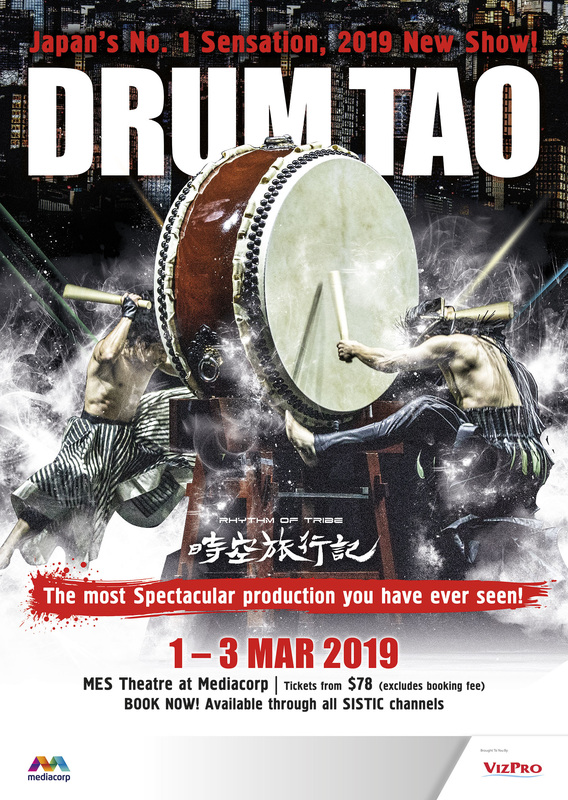 with brushed up show of “Bukyo ~Dancing Drums~” which we made Japan all excited for living up with our members in Singapore!!! Also, ticket will be available at our first fan event in oversea which is held on April 17th (MON) at 1 Altitude. And more! Tao will perform the special live performance at “Star Awards Ceremony” which is known for Singapore version of Grammy Awards!! It’s going to be live so you better check it out!! We are looking forward to seeing you all in Singapore!! Sign up for TAO CLUB! The members are over the world now! Check out TAO’s official Facebook! 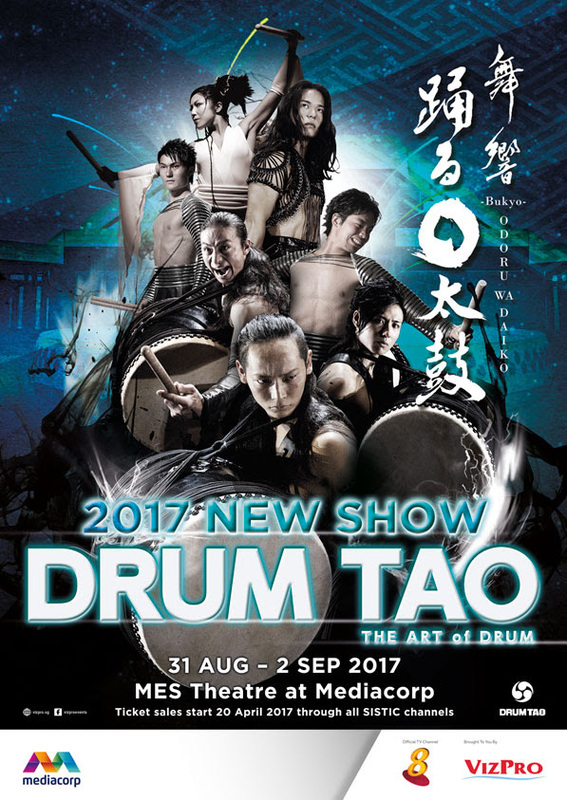 For those who are keen in Japanese Drums, Drum Tao group is the one to watch for. They will be down in Singapore for a one night event on 17 April, Monday @ 1-Altitude. 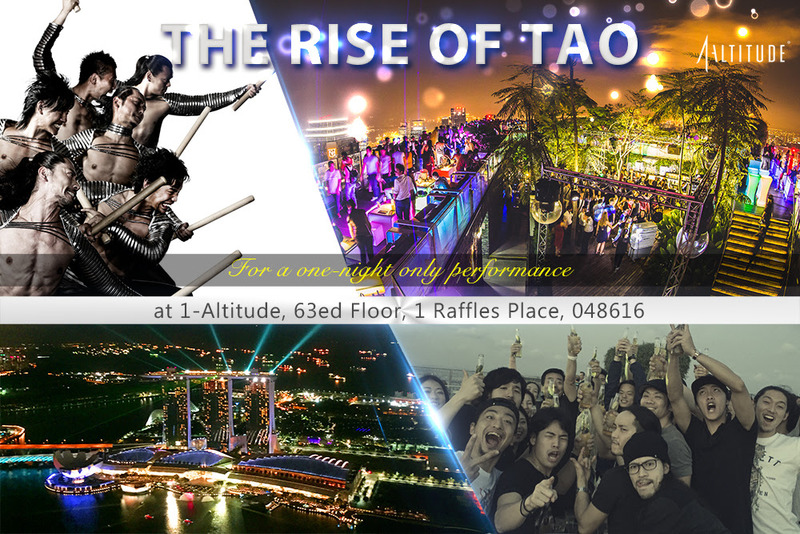 “Spend memorable moments with TAO at the world’s highest al-fresco bar, 1 Altitude. There will be photo-shooting and even special live performances by TAO!!! You can’t just miss this!!! T&C: – Admission is from 6PM onwards on 17 Apr 2017 only. – Present online receipt for admission. – Opening of the rooftop bar is subj. to weather condition. – Non refundable for any cancellation or bad weather. – Dress code applies. No singlets / No sleeveless for guys. – Free standing basis.No guaranteed tables.